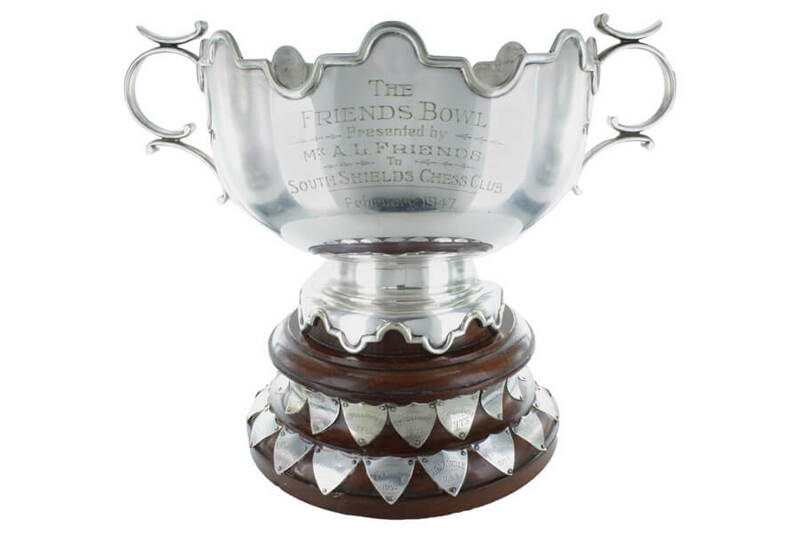 The Friends Bowl was a competition held within the club for all its members. It was cleverly handicapped in a number of ways to try and gave all members a reasonably equal chance of winning. Following is a list of names and the dates they received the trophy. We need to look into why the Bowl wasn’t awarded in 1968 and 1971. The resurgence in interest in Chess and Club Membership has resulted in the re-establishment the Friends Bowl Competition .This wonderfully magnificent is now once again being actively fought for the majority of members of the club .